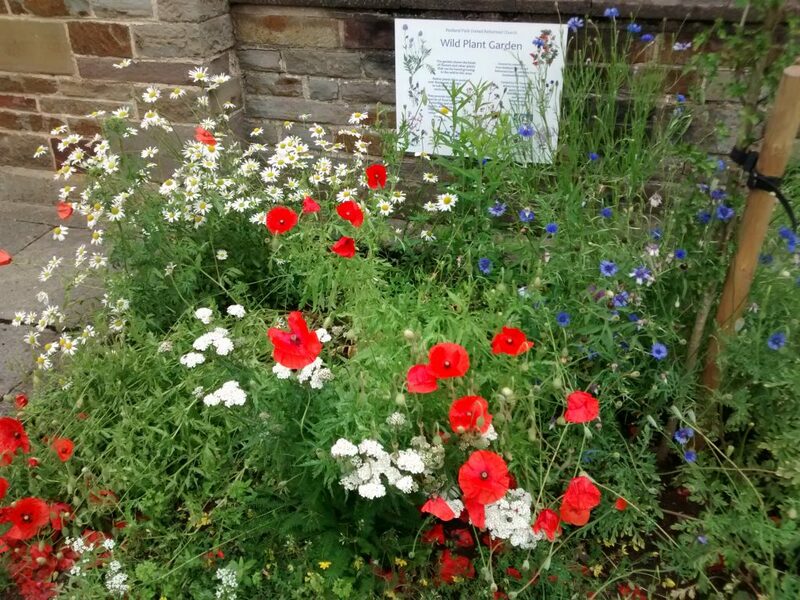 As a contribution to Bristol Green Capital year, Sustainable Redland has joined with Redland Park United Reformed Church to create a Wild Plant Garden on the corner of Whiteladies Road and Redland Park. Our application for a Bishopston, Cotham and Redland Neighbourhood Partnership Green Capital Grant to renovate the existing garden at the church as a wild plant haven was submitted in autumn 2015. The project plan was to turn the garden, which is accessible to the public and often used as a quiet place to sit, into a wildlife-friendly space. It aims to highlight what can be done using mainly native wild plants, with associated information to spread the word about what can be achieved. Avon Wildlife Trust offered their advice to the project as part of their ‘My Wild City‘ initative. We organised a talk on the Wildflowers of the Bristol Downs by Richard Bland who also advised us on plants to choose for the garden. Planting took place in December 2015, and the garden has been a mass of colour throughout the spring and early summer 2016. Recently we installed a sign to tell passers-by something about the project. The next step is to produce a leaflet that describes the contents of the garden. Some of the plants, though native to the area, are often not recognised.